2009 GoogleMaps photo sourced by John Beer. Cnr Miller St & Canterbury Rd 1960s While we do not have listed a branch at Canterbury, the notes accompanying this photo from Canterbury Local History Photograph Collection states: Cnr Minter Street & Canterbury Rd Canterbury NSW "During the 1960's the CBC Commercial Bank operated from this building". Sourced by Geoff Chapman. 1964 photos by Alex Steel. "Unification of the two Castle Hill Branches will be at Old Castle Hill Rd & Castle Streets on completion of new building". 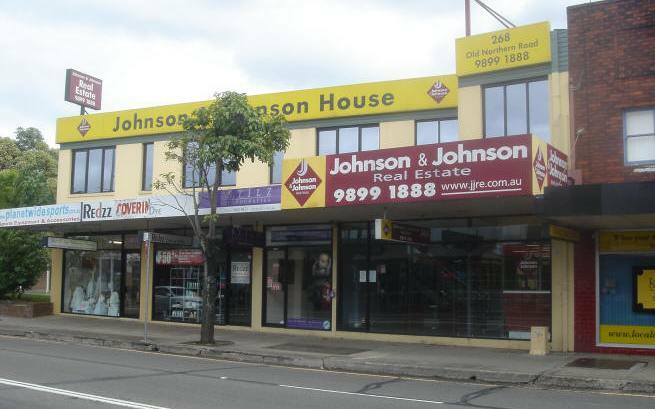 2007 March 268 Pennant Hills Road is now Johnson & Johnson Real Estate, according to John Beer, who took the front and rear photos, and one of the NBA branch where unification took place. 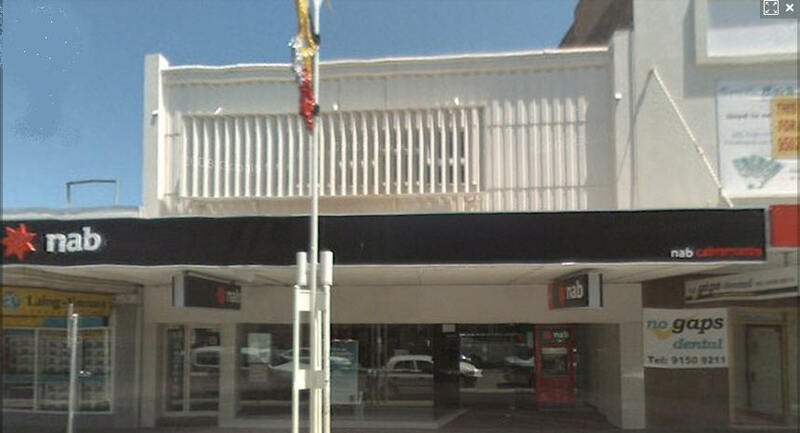 2009 September 4 business of nab Pennant Hills transferred to 1 Castle Hill Road branch. 1920 photo courtesy Kevin Meyer. 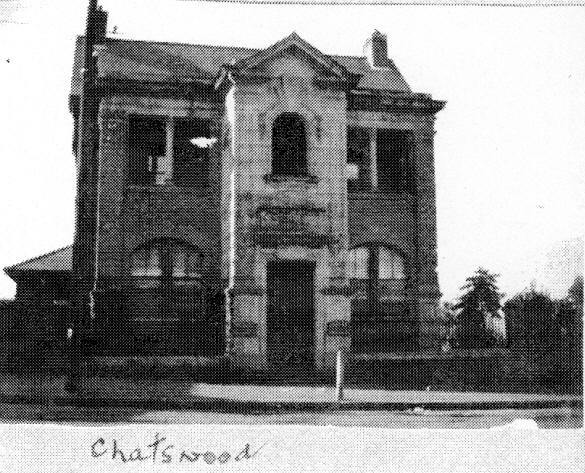 1958/9 Present premises built on the same site at 451 Victoria St.
2018 June lamp from original Chatswood branch donated. Alan Pitt advised: It is missing the flew and by strange coincidence I have a spare which will be forwarded to Noel. I have an identical lamp and from my research your lamp will be complete when the flew is attached. 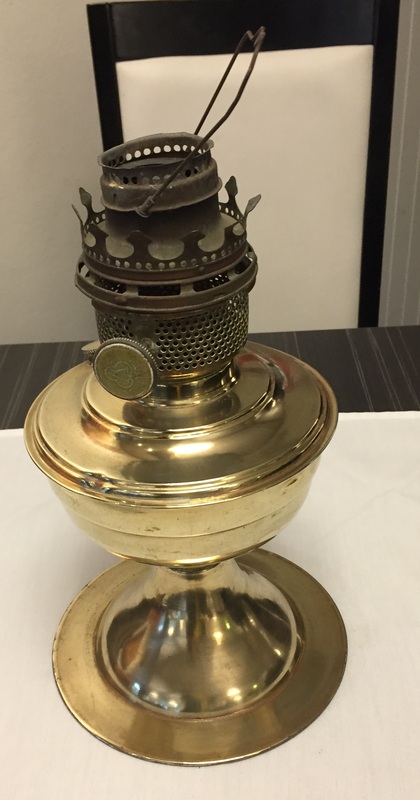 These lamps originate from the USA and would be approx circa 1910. They were used minus the usual bulbous type glass shade which always restricted the actual light and these lights were used well into the 1940’s particularly in country regions which were devoid of electricity. 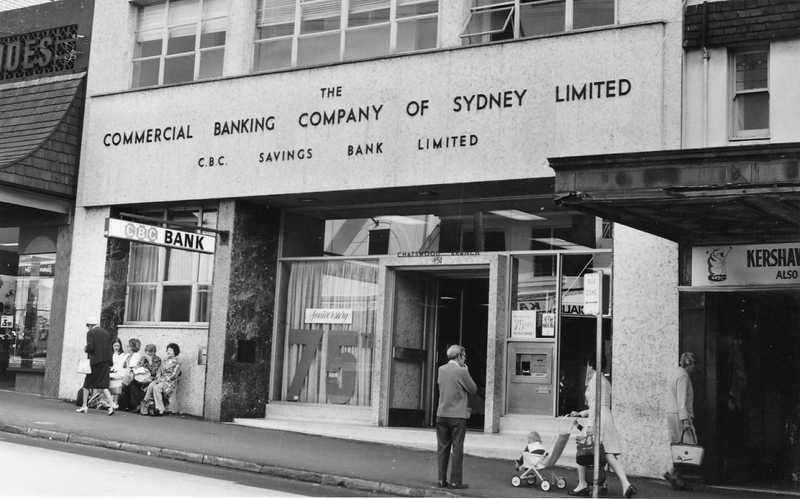 2005 1973 photo as CBC Bank. 2005 September photo while vacant, by John Ness. 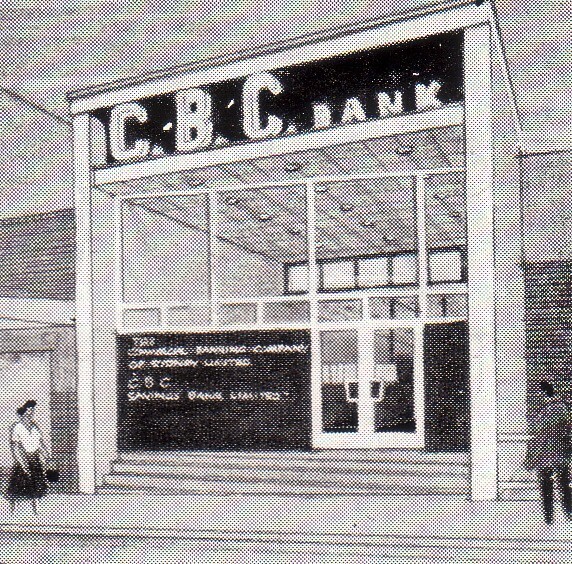 1958 1958 sketch of new branch in Current Accounts 07/58 page 20 - it was the first of CBCofS branches to use the words "CBC Bank" above the facade sketch of new branch . Photo by John Ness under investigation - may be Rural Bank. 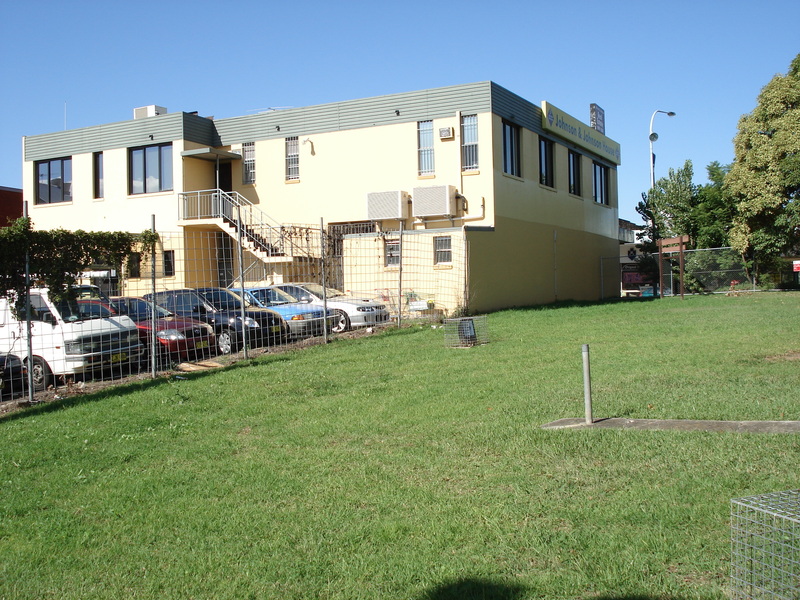 Heritage Listed: A small building with a stylish streetscape presence at an important corner on the very edge of the Council area, as though signifying the entrance to the suburb. Physical Description: Inter-War Free Classical. This two-storeyed building is sited on an acute-angled corner and is irregularly shaped. It has brown face-brick walling in stretcher bond, with cement rendered trim including a band at the upper window sill level and a fanlight motif. Projecting from the splayed corner there is a semicircular portico marked by a pair of Tuscan columns in antis between flanking pilasters. Above this there is a small balcony with bronze balustrading and a recessed doorcase enframed by a Palladian window motif. Above this, and continuing around the perimeter walls, there is a parapet which rises from a modillioned cornice and has squat pediment motifs rising above both the splay and the secondary north entrance. 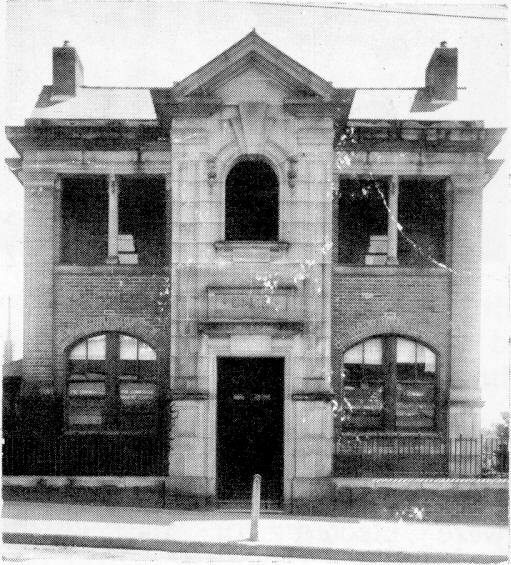 Erected in 1921 as the Military Road branch of the Government Savings Bank of NSW. 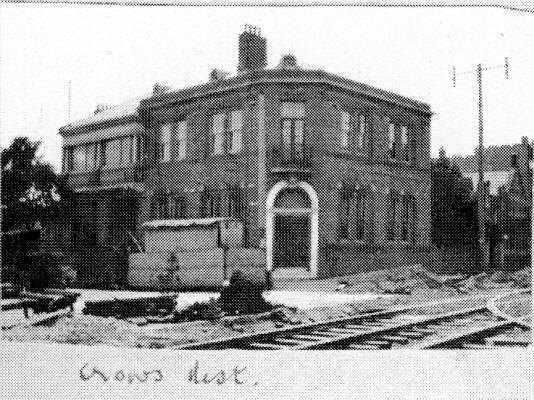 The building was estimated to cost £6,000. A.E. Blow was the Manager in 1981. 2008 July 7 Monday 1008 it seems 364 is incorporated in a much larger building. My RPData.com image of 356 Military Rd is building similar to 1981 building that CBC occupied. An important streetscape item as a part of a major intersection with a cohesive group of interwar commercial buildings on each corner. Of the five corner buildings, this is the earliest, though it has had its characteristic detailing modified. 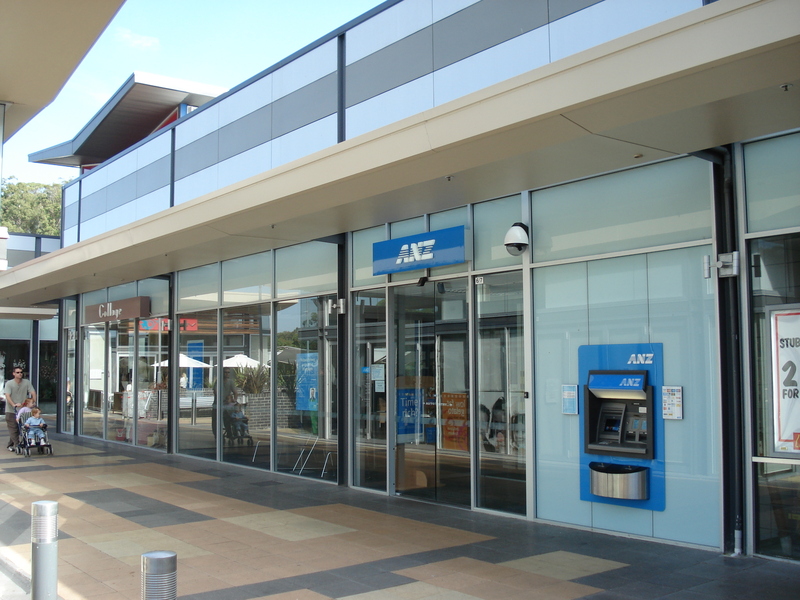 Continuous use as a bank since construction. 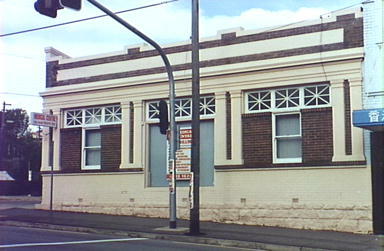 Two storey rendered brick corner building, faceted around the corner, with the entrance in the corner facet. Low parapet with hipped corrugated iron roof has a simple cornice line. Door and window openings are rectangular. Semi-circular dormer ventilator projects from roof behind corner facet.This building is designed in the Victorian Regency. Inter-War Stripped Classical style. Originally (1919) a face brick building with stucco string courses at window sill levels and Italianate cornice to parapet. Entrance door had semi-circular fanlight with stucco moulding around architrave and there was a cantilevered semi-circular iron verandah on first floor level above the entrance. 1961 See Current Accounts Jan 1961 p48. Miss NP McAnally in the photo was 1st CBC Manager 44 Young Street. RW (Bob) Mead was Manager August 1971 when Audit Clerk John Beer assisted in the audit. From John's memory there was then a small car park at the rear and staff training on the 1st floor. 1977 listed in Annual Report. 1981 C.T. Wulff was Manager in September. 2006 March - a pizza restaurant, photo by Lyn Ness. 2007 Gone upmarket - now "The Edge" bar & restaurant. 2009 January photo by John Ness, who says "note the bank's front doors are still there. It is now modern Japanese dining at the Waqu". 2006 J. R. Clarke was Manager in Sept 1981.